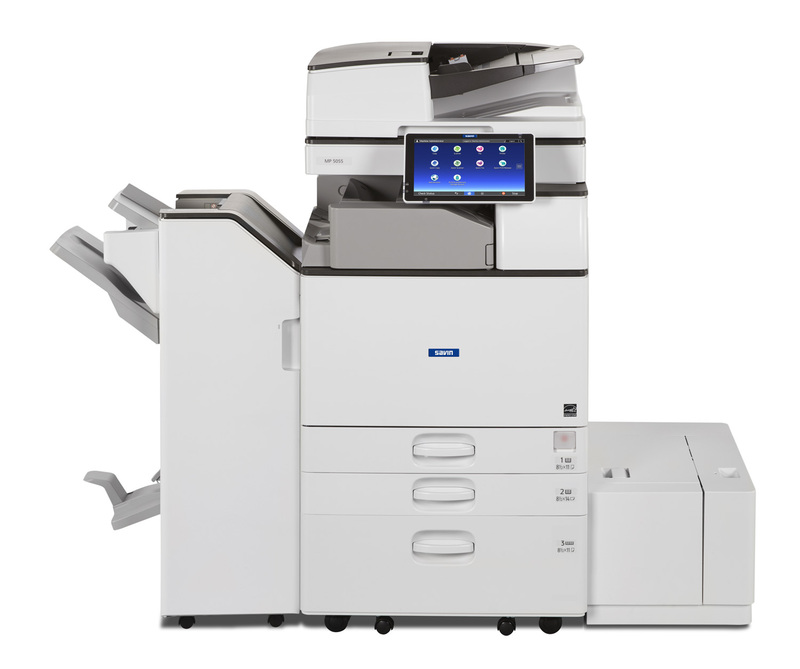 The MP 4055, 5055, & 6055 deliver fast B/W print speeds of 40-ppm, 50-ppm, and 60-ppm respectively. These devices are designed to help customers turn around their jobs faster, while providing crisp image quality, media flexibility, advanced security and eco-friendly features. The standard intuitive Smart Operation Panel with NFC connectivity improves overall user operability and is equipped to support the needs of today’s mobile office with the power to streamline workflows and enhance output from creation to finish.